All of our hotel rooms in Baden-Baden pay homage to our historic roots and to a modern cosmopolitan way of living. Comfortable yet sophisticated. Our modern business rooms offer a wonderful view to the chestnut allee of the Sophienstraße and the old town that indulges with the charme of little Paris. All rooms feature large French Windows to allow fresh Black Forest breezes. 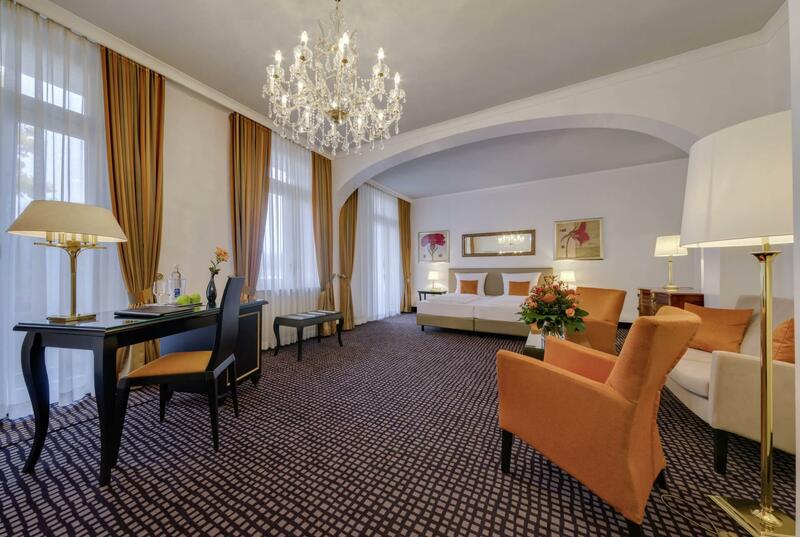 Our classic elegant rooms and suites to the parkside come with balconies, are fitted with comfortable lounge armchairs and offer a relaxing view over the hotel park to the Black Forest. Take refuge in the nostalgic, but cosmopolitan decor tastefully exhibited throughout the parkside. The delicious breakfast is always included!